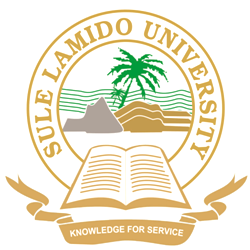 Sule Lamido University Kafin Hausa (SLU) Uploading of O'Level Result Notice to Prospective UTME and Direct Entry Students for 2018/2019 Academic Session. This is to inform all candidates who chose Sule Lamido University Kafin Hausa (SLU) as First Choice University and attended the 2018/2019 POST UTME/DE screening exercise between 28th to 31st August, 2018, that as part of the Admission Requirement, candidates MUST login to JAMB portal and update their Profile by uploading their O Level Result(s). Candidates are therefore advised to do the update on or before Friday, 21st September, 2018 as candidates who have not uploaded their result CAN NOT be selected for admission.